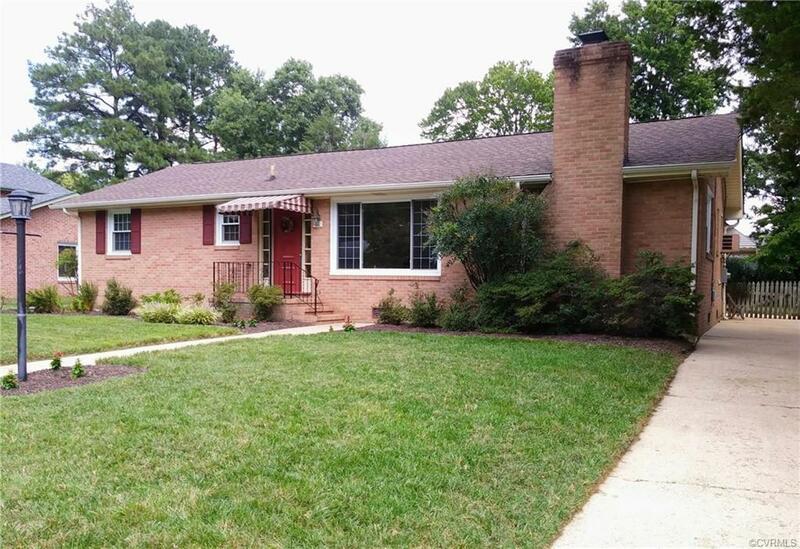 $169,500 Colonial Heights - Looking for a Well Built Quality House? Look no further! This Brick Rancher is a One Owner and Beautifully Landscaped with 3 bedrooms, Formal Living Room, Family Room with Brick Fireplace and Large Eat-In Kitchen. Big Utility Room with Cabinets. Screened Porch with Privacy looks out onto Fenced Back yard. CENTRAL AIR - HEAT PUMP, Replacement Windows, Freshly Painted Inside. Automatic Vents & wall AC unit. Bring Fluffy and the rest of the family too! Call today and begin living the good life! Convenient to Fort Lee, Southpark Mall and I95. Directions: Blvd To Sherwood Dr - House On Right.